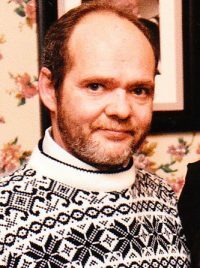 Jeffrey L. “Jeff” Pearl – (55)– of 213 East Ave., Hornell, died Thursday morning (March 28, 2019) at his home, following a long illness. Jeff was married on August 17, 1991to the former Ginger Preston who survives. Also surviving are 2 daughters, Natasha (Michael) Fires of Dansville and Kari (Matt Mills) Pearl of Dansville; 3 brothers, Alan Pearl of Lake Whales, FL, William Pearl of Hornell and Tim Pearl of Hornell; 2 sisters, Denise (John) Pilling of Mansfield, PA and Grace Heckman of Jasper; his granddaughter, Teagen Fires; several nieces & nephews. At Jeff’s requests there will be no calling hours. A Celebration of Life will be held on Saturday, (April 6, 2019) from 1:00 PM – 5:00 PM at the AMVETS on the Broadway Mall in Hornell where family & friends will have the chance to share stories about Jeff. Also, if possible, everyone is encouraged to wear the color purple as it was Jeff’s favorite color. So sorry for your loss. Sending love and prayers. We had quite a few laughs with Jeff in the AMVETS and sorry about the loss. He is at rest now and will hurt no more. Condolences to the entire family.